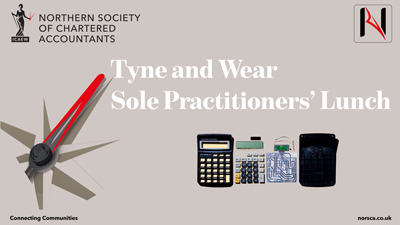 Join us for our monthly Tyne and Wear Sole Practitioners’ lunch to meet like minded ICAEW members. Come along to a monthly lunch for sole practitioners or those working in 1-2 partner firms to meet members with similar situations to support and share best practice. Our monthly event will commence with a light lunch followed by a speaker or discussion on a topical matter. This event is run by ICAEW members for ICAEW members. 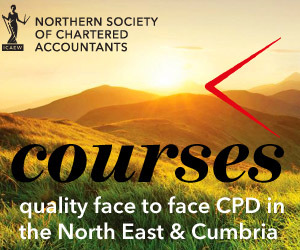 Northern Society of Chartered Accountants (NorSCA) represents 4,000 ICAEW members and ACA students working in business and the finance profession across the North East of England, Teesside, northern Yorkshire and Cumbria. We have been assisting businesses in the north of England and producing chartered accountants for over 130 years. There are over 1.7m chartered accountants around the world – talented, ethical and committed professionals who use their expertise to ensure we have a successful and sustainable future. Over 149,000 of these are ICAEW Chartered Accountants. We train, develop and support each one of them so that they have the knowledge and values to help build local and global economies that are sustainable, accountable and fair. We’ve been at the heart of the accountancy profession since we were founded in 1880 to ensure trust in business. We share our knowledge and insight with governments, regulators and business leaders worldwide as we believe accountancy is a force for positive economic change across the world. ICAEW (Institute of Chartered Accountants in England and Wales) is a founder member of Chartered Accountants Worldwide and the Global Accounting Alliance.